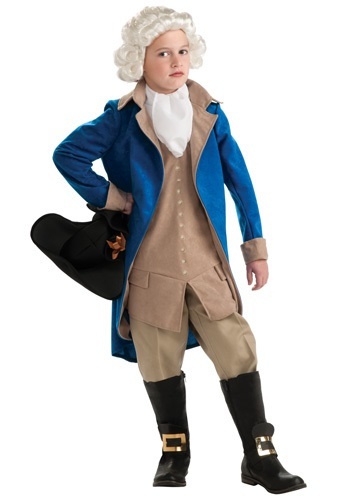 This child George Washington costume will turn you into a legendary historical figure! 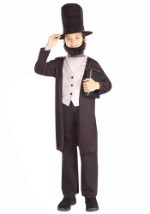 The kids costume includes a vest front that ties behind the waist and Velcros behind the neck. 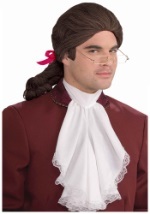 There is an attached white jabot at the neckline. 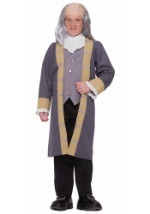 The vest front has printed brown buttons down the front and faux pockets. 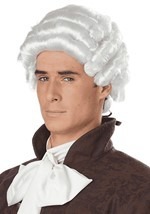 The blue jacket has beige sleeve cuffs, collar, and lapel. The beige pants have elastic in the waist and are cropped below the knee. 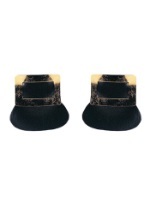 Also included is a black polyfoam hat with a yellow ribbon decoration. 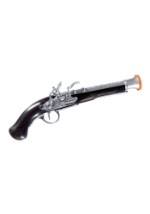 Add our colonial accessories for a complete costume.